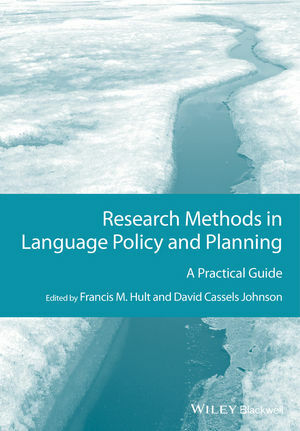 This is the first volume exclusively devoted to research methods in language policy and planning (LPP). Francis M. Hult is Associate Professor at the Lund University Centre for Languages and Literature. He is the co-editor (with Kendall A. King) of Educational Linguistics in Practice (2011), editor of Directions and Prospects for Educational Linguistics (2010), and co-editor (with Bernard Spolsky) of The Handbook of Educational Linguistics (Wiley, 2008). David Cassels Johnson is Assistant Professor of Language Education at the University of Iowa. He is the author of Language Policy (2013).